Left to Right: Angela Stewart, certified registered nurse practitioner in the Klein JCC Wellness Center, Abram K (Israeli visitor), Dr. Harvey Spector (DO), Einstein Healthcare primary care physician in the Wellness Center. Last Saturday morning an elderly gentleman walked into Klein JCC carrying a suitcase and accompanied by a cab driver. The cab driver explained to a person at the front desk that he picked up the gentleman at the airport and that the gentleman flew to Philadelphia from Tel Aviv. He proceeded to say that the man didn’t speak any English, only Hebrew and Russian and that the relatives who reside in Philadelphia have refused to take him in. When the gentleman mentioned he was Jewish the driver took him to the only Jewish place he knew: Klein JCC. With that, the cab driver left. The gentleman (Abram K.) told the bi-lingual staff at the front desk that he left a paralyzed wife in Tel Aviv to come to the US to seek medical care for his glaucoma because the waiting time to see a doctor in Israel is far too long and he’s going blind fast. To make the long story short, we immediately sent a social worker on Saturday morning to see Abram. With the help of the bi-lingual front desk staff she explained to Abram his options, made reservations to a near-by hotel and gave him food that we serve through our Cook for a Friend program. Our social worker picks him up in the morning from the hotel and brings him to our Russian senior services program that provide a lunch and various classes to our Russian-speaking seniors. We contacted his wife in Tel Aviv to tell her he was fine. Tomorrow he will see a specialist from the Wills Eye Hospital as a part of the collaborative program we run with that hospital and the Philadelphia Corporation for Aging for our seniors. He’ll also be seen by Dr. Harvey Spector in our Wellness Center. Abram will stay here until January 22. Klein has evolved from being a typical “gym and swim” to something that’s much greater than that — the agency that profoundly affects peoples’ lives. The special election center is being established through the Russian consulate in New York City. 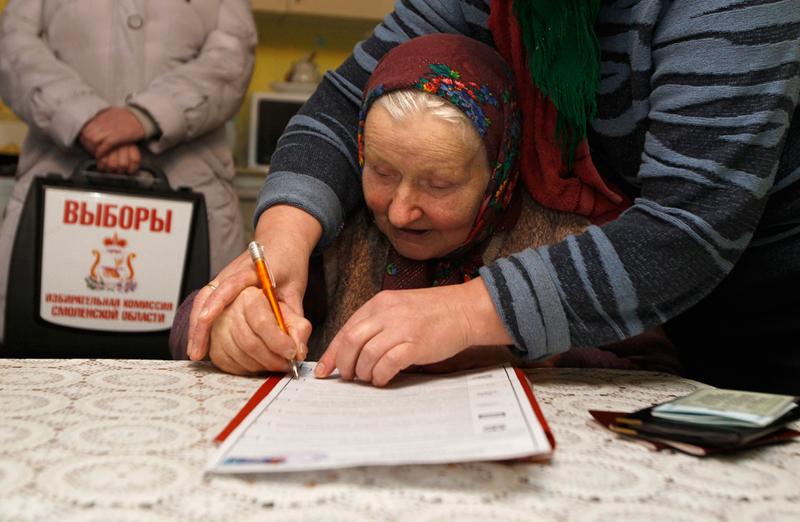 Voters in Russia will go to the polls on March 4. “Save Our Stiffel” is the name of a newly-formed group dedicated to keeping the Jacob & Esther Stiffel Senior center, 604 Porter Street in South Philadelphia, from closing due to lack of funds. Programs held at the Stiffel Center include classes in Yiddish; art, poetry and music classes; cultural and travel experiences; health and exercise programs; traditional holiday programs; daily hot kosher lunches; fitness and wellness classes; medial and legal advice; chaplaincy services; and a thrift shop. Laurel Katz, actor and radio host, is part of the effort; “No one had organized,” she recalls, “a committee to raise the funds that are needed, because we found out fairly recently that that Stiffel is operating on a $200 thousand annual deficit, and they need $200 thousand by June 30th, and a promise for future funding, because they want to close it.” The Stiffel Center is a branch of the Klein JCC. Stay tuned to the Philadelphia Jewish Voice for further developments as they occur.